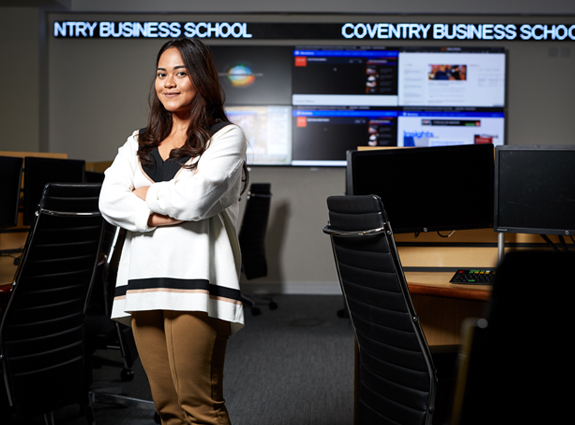 Did you know that if you’re looking to study postgraduate Business and Marketing courses at Coventry University, you can start in May? Postgraduate study is a great way to help you stand out in a competitive global job market. 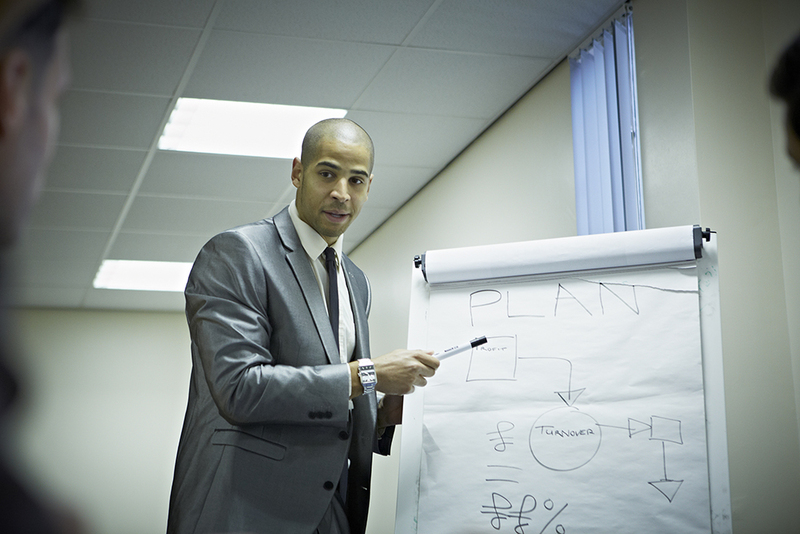 In Business, Management, Marketing, Accounting and Finance; we’ve got something for everyone. So aspiring accountants, market analysts or entrepreneurs, read on! Our International Marketing MSc prepares students for the real world of marketing. Gone are the days of marketing only making it as far as your immediate networks or local communities. This course will help you stand out, giving you a global ready CV for today’s global markets. The course is accredited by the Chartered Institute of Marketing, putting you well on your way to achieving Chartered Marketer status! Studying a Digital Marketing MA will provide students with the theoretical and practical skill set to make a real-world impact in today’s global markets. We caught up with current student Xavier to find out more! Xavier is currently studying an MA in Digital Marketing and so far has covered topics ranging from advanced design, to web and social media analytics. This semester he’s working on designing interfaces and coming up with content strategy. 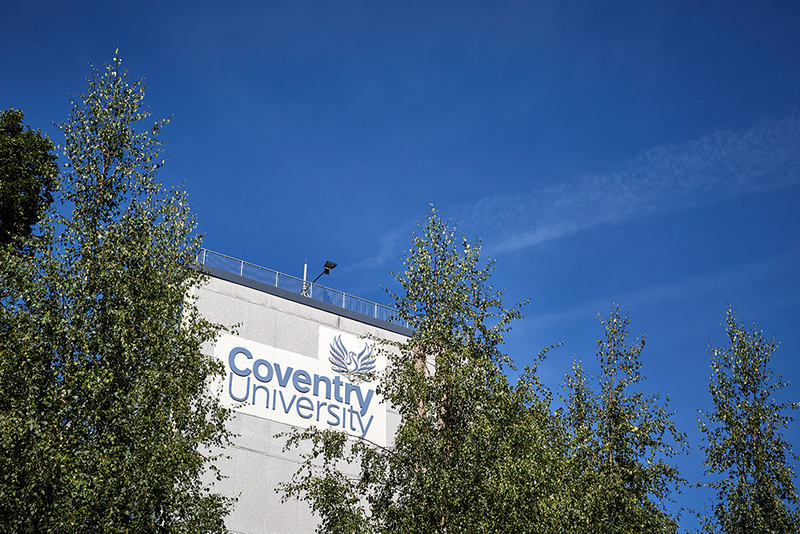 For Xavier, Coventry was one of the few institutions in the UK at the cutting edge of Digital Marketing and the practical parts of the course have been a real highlight, giving him extra insight into how things work and preparing him for the world of employment. “I also applied to be a student rep and being able to make real change inside my faculty has been a great opportunity for me to grow and spread my wings”. Xavier has secured an internship from May with a bank, where he will work on improving content and social media strategy. He’s confident his MA in Digital Marketing has prepared him well for this and he’s looking forward to enhancing his corporate knowledge during his internship. “I will definitely go and work in Digital Marketing after graduation”, but Xavier has even bigger plans for his future! He wants to master Law, Economics, HR, and Marketing in a digital context. In 10 years time he sees himself as head of a global ‘innovation’ department, continuing to work at the cutting edge of digital marketing. Study an MSc in Finance with us and you’ll have the opportunity to apply for an internship programme, undertaking a workplace project on behalf of an organisation. Other optional modules include subjects such as investment and risk managing techniques in financial markets. All of this sets you up for careers which include: stockbroking, financial planning and commodity trading! Studying the International Business MSc ensures you’re ready for the global job market that you’ll enter on graduating. From day one a strong emphasis is put on international elements of business. As part of the course you can apply for an internship programme, offering you a great range of CV-enhancing real world experience! This course arms you with the information and knowledge necessary to become an international business specialist, working in positions including strategy, management, consultancy, education and training. If they’ve tickled your fancy, it’s also worth checking out our other postgraduate courses in Business and Marketing: International Business Management Msc, Supply Chain Management MSc, and Accounting and Financial Management MSc! ← You Choose Your Library Books!